Aye Min was trained in Myanmar and has completed his Master MedScience (Ob Gyn) and RCOG part 1. 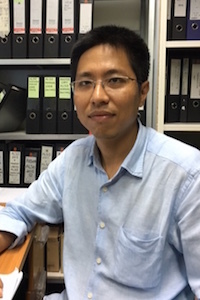 He works in the Maternal and Child Health team as a clinician and researcher with interests in fetal growth restriction and preterm birth, particularly in relation to infection during pregnancy. Training local skilled birth attendants for #safebirth is one of the additional roles Aye Min participates in at SMRU and he is on the Faculty of ALSO® Thailand-Myanmar border.